Cataracts occur naturally as we age and affect more than 22 million Americans over the age of 40. Thankfully, the great majority of individuals whose eyesight is impaired by this common condition have an excellent and effective solution in the form of cataract surgery. In fact, surgical cataract treatment has one of the highest success rates of all ocular procedures performed today. Ultimately, the decision to have cataract surgery can be a life-changing one—allowing you to experience clear vision once again. Nuclear Sclerotic – This is the most common type of cataract and is the result of the yellowing of the lens as we age. Nuclear sclerotic cataracts affect the central part of the lens. Cortical – This type of cataract shows as white cloudy areas or streaks that develop on the peripheral side of the lens. Posterior Subcapsular – This type of cataract develops as a cloudy area on the back of the lens. It may be associated with people who have had trauma, been diagnosed with diabetes, or takes certain medications such as steroids. The good news is, each type of cataract can usually be treated successfully with cataract surgery. Traditional Cataract Surgery – With this form of cataract surgery, the corneal incision is made manually by your eye surgeon, and ultrasonic waves are used to break up the cloudy lens. Once these lens fragments have been removed, an intraocular lens (IOL) is carefully implanted in place of the original lens. Laser Cataract Surgery – With this cataract surgery method, an advanced femtosecond laser is used to map your eye, make the corneal incision, and fragment the cloudy lens via pulses of light. The shattered parts of the lens are then gently removed, and an intraocular lens is secured in its place. To learn more about this highly precise form of treatment, visit our page on laser cataract surgery. When performed by a skilled and experienced eye doctor, both cataract surgery techniques are safe and effective outpatient procedures that can significantly improve your vision. 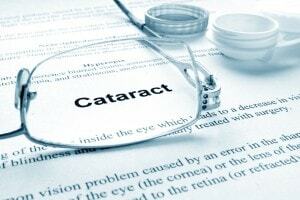 In fact, over 4 million patients per year undergo successful cataract surgery. For more information about cataracts, or if you would like to schedule a consultation with one of our Fellowship-trained cataract surgeons, please contact us today.